Thank you for an amazing 2018 National Conference! So, now that you've attended the APSE National Conference, what comes next? We want you to continue building the relationships you created at the conference, continue discussions across states, and share information! Where can I find presentation slides and handouts? Presentation slides and handouts are uploaded to the conference app once they are received from presenters. Simply open the app on your phone, tablet, or computer and go to "Sessions." Search for the session you want to download slides or handouts for. Scroll down to "Resources" where you will see an option to select "Handouts" if handouts are available. You are then able to take notes on the handout, download the handout to that device, or email the handout to yourself. When sharing slides or resources, please ensure that you cite the original presenter(s) for content/slides. Where can I find contact information of other attendees or exhibitors? Continuing the networking from the conference is easy! Simply open the app on your phone, tablet, or computer and go to "Attendees, "Exhibitors," or "Presenters" tab. Unsure where the person you're searching for will be listed? Simply use the magnifying glass search function to search by name. On their profile, click the 'handshake' picture on the left side. Send them an email through the app messaging. You do not need a location/meeting time to send a message. Their website, address, and phone number should be listed for each exhibitor. Please contact exhibitors directly. Most presenters do not have contact information in their bio, however some do. You can look at the "Attendees" list and see if the presenter has an attendee profile. Use the same 'handshake' on the left side to send a message directly. How do I earn continuing education credit for attending the conference? Emails have been sent to conference attendees with documentation for continuing education (CE) credit. If you did not receive your email, please email info@apse.org to request your documentation. Your specific hours are based on your registration and attendance. Please do not share these certificates with others, as they are intended solely for the recipient. Sharing would violate the code of ethics for both the CRC and CESP. Please note that the certificate(s) provided are considered acceptable documentation by both the CRC and CESP. 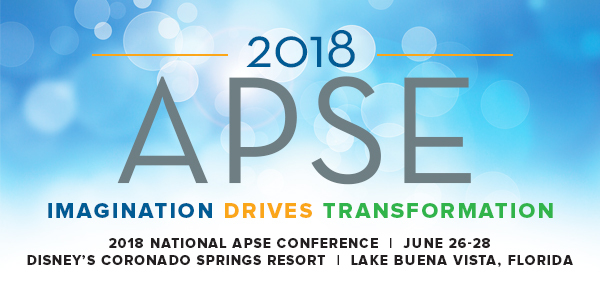 The 2018 APSE National Conference is a pre-approved program for both CRC and CESP. The conference may be eligible for other programs requiring continuing education. How/where do I learn about how the app works? Please visit the FAQ section of the Core Apps website. I sat for the CESP exam, when will I get my results? Test scoring and processing takes approximately 6-8 weeks. After scores have been reported, candidates will receive a results letter and score report. Results are sent via US Mail and are not released electronically or over the phone. Candidates are encouraged to report ANY change to contact information including email address, mailing address and phone number. New CESP™ certificants will receive their certificate 2-4 weeks after results notification. Where and when is the 2019 APSE National Conference? The 2019 APSE Conference will be held in St. Louis, Missouri. Pre-conference will be June 17, 2019. The conference is June 18-20, 2019. The call for proposals for the 2019 conference go out in late 2018. Please keep an eye out for future communications!